Believe it or not, there was a time when full-featured smartwatches were rare. Throw GPS functionality and a kid-friendly design in the mix, and said devices were almost unheard of. That’s no longer the case, however. Smartwatches, fitness bands, and kid-friendly devices are a dime-a-dozen. So, if you want to make your mark today, you’re going to have to be on top of your game. 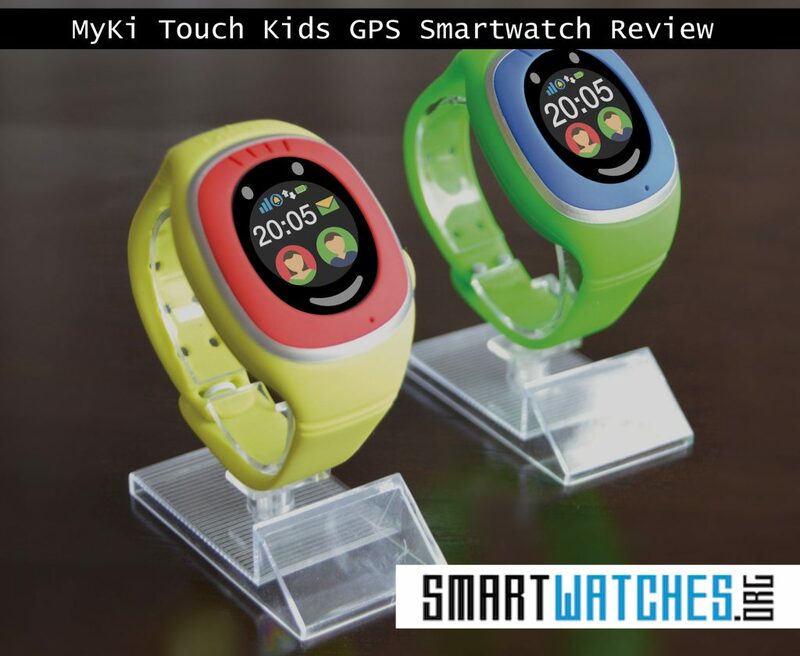 Right now we’re looking at the MyKi Touch, deemed a full-featured smartwatch for kids with GPS location support. It also includes a few other bells and whistles, such as a touchscreen display, a changeable band, and all-too-uncommon WiFi support. But is MyKi at the top of their game? Let’s find out. Right away, I have to admit that I’m impressed with the functionality of the watch. Not because there’s so much on offer here, but because it’s so focused. Too many smartwatch manufacturers try to build something that can do it all. Apps and games, media streaming, communication tools, location-tracking. The best of the best tend to be laser-focused on one or two things. The MyKi Touch does include some nice features for the kids, yes, but it’s clear the key point here is the GPS functionality and location tracking. Coupled with a few safety features, and this thing is a great choice for any parents that just want to keep an eye on their little ones. At any time you can make calls and chat—via text and voice messages—with your children. Your messages are sent from a companion mobile app, and your child receives them directly on their watch. You can also designate “safe WiFi zones” which allows the watch to tap into a nearby network and continue transmitting information. This is incredibly useful when your child is inside a building or property where spotty GPS coverage is a thing. It was also a pleasant surprise to see a few different configurations for the watch, or module, if you will. You can wear it as a watch, obviously, but there are additional necklace bands that allow you to wear the device around your neck. All in all, it’s a great smartwatch that offers some incredibly useful features for concerned parents. To answer that initial question, yes, I believe that MyKi was at the top of their game when creating this device. As far as I can tell, there are no water resistance ratings offered. That’s a bummer considering the MyKi Touch will be primarily on a child’s wrist; little people who are generally prone to spills and fluid messes. That said, it seems plenty durable and capable of withstanding regular use. 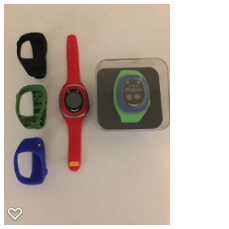 The band is a silicone material that appeared during testing to be both sturdy and comfortable. It also detaches from the watch module so you can change colors and styles. 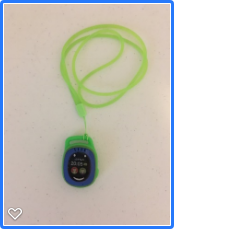 This allows your kids to put their own little flair on the device, and helps you differentiate between multiple models if you get one for each of your children. The touchscreen isn’t made of Gorilla Glass, so it’s not super durable. That’s not really such a big deal since it’s plastic. All said, I wouldn’t recommend taking a hammer to it, but it should hold up well. Since the MyKi Touch taps into GPS and mobile connectivity it does require a working SIM, so keep that in mind. The location data is fairly accurate—which is standard for GPS—but the best part is that the device transmits its whereabouts at all times. This gives parents or guardians a more accurate depiction of where there child is, where they’re going, or where they have been. A proximity sensor will let you know if the watch has been removed from the child’s wrist or person. This information is recorded via the mobile app with timestamps, as well, if you’re not watching the exact moment it occurs. GPS does tend to drain the battery faster than you’d like, which is 480mAH. 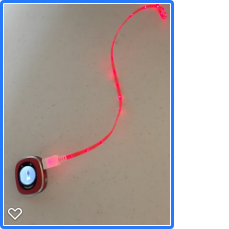 The good news is the battery charges pretty fast, and has a neat glow effect to it which kids will love. Since it’s charged via standard USB you can use the included adapter, or just plug it right into a computer. The coup de grace, however, is the WiFi functionality. With most devices, you’d expect this to allow internet browsing and app downloads. But it works much differently for the MyKi Touch. Instead of the aforementioned features, the WiFi acts as an additional signal point for the location tracking, particularly when the watch is inside a building or out of GPS range. It also works great where you know the WiFi network in use, and you want to conserve battery. In addition, to safe WiFi zones for increased signal, you can set safe zones or geofence zones. If your child remains in the designated area, all is well. If they wander too close to the boundaries or cross them, you’ll be notified immediately. This helps you ensure your children remain within the vicinity of your home or neighborhood. The MyKi Touch mobile app is available for Android via Google Play, and iOS via the App Store. While using it I encountered very few bugs or experience concerns, but it can be a tad sluggish at times. The UI isn’t appealing. It is, however, relatively responsive, easy to read, and even easier to navigate through the various options. The first screen is a Google Maps style view of your child’s current whereabouts, or all the places that the watch itself has been to. Tracking doesn’t start, obviously, until you take out the watch and activate it. It is through the app that you configure your safe zones and geofence boundaries, and also interact with your child’s device. You can, for example, send them short IM messages or just leave voice messages with quick reminders. That portion of the app can be a bit jarring at times because it lumps all communications via one threaded interface. You end up with a feed of short, meaningless chats and a boatload of voice message indicators, at least I did. You can also track fitness stats of your child, which is neat. You can see the total steps and distance they’ve traveled, as well as an estimated caloric burn count. You can also setup a sedentary alarm in case you feel the need to keep your little critters active. The phone call option is right on the main screen—at the bottom of the map. You just tap a big button to place a call and chat directly with your child. It works. Call quality seems great. It’s nice to have. I have to say the MyKi apps are simple, but plentiful enough to make them useful. Furthermore, the information you’re most interested in—your child’s current location—takes precedence and to me, that’s the most important element of the app. Should I Buy the MyKi Touch Smartwatch for Kids? Do you want to remain aware of your child’s location at all times? Are you looking for something smartwatch-esque that won’t cause them distractions at school or at home? If you answered yes to those questions, then I would say the MyKi Touch is for you, well, your kid. It doesn’t have any apps or games available for your children to play with, but that’s okay. I’m willing to bet your little ones already have enough to distract them, maybe even a tablet or phone of their own. The Touch is primarily business, and that’s definitely a good thing when it comes to location tracking. It’s reliable, accurate, and the mobile app is certainly readable. 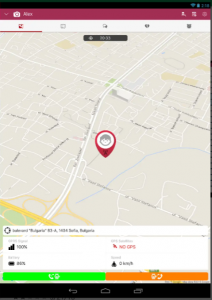 The SOS mode, geofencing or safe area support, and additional WiFi functionality make it that much more reliable in terms of keeping your kids safe. I can’t remember the last time I had my hands on a kids location tracker that was this promising. Okay, maybe I can, but you get the point, the MyKi Touch is pretty great. Where Can I Get the MyKi Touch? 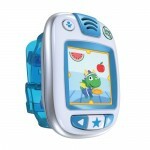 You can order the MyKi Touch smartwatch for kids via the company’s official site here.